In many parts of the U.S., it’s easy for pet owners to forego their pet’s monthly parasite preventatives. After all, who worries about mosquitos or ticks during the frigid, snowy months? It turns out that pet parasite prevention is not a seasonal affair. In order to effectively protect your pets from the often disastrous effects of fleas, ticks, heartworm, and intestinal parasites, year-round pet parasite prevention is a must. Climate is not 100% predictable from year to year. It only takes a few unexpected 50-degree days for mosquito eggs to hatch. The temperature inside our homes during the winter is ideal for a flea population to thrive. Some diseases transmitted by pests, such as heartworm, have long incubation periods and skipping doses of parasite prevention can increase your pet’s chances of contracting one of them. Continuing your pet’s monthly parasite medications during the winter will prevent you from falling out of the habit come spring. Parasites are more than just annoying for your pet. Fleas, ticks, and mosquitos are associated with serious risks to your pet’s health. 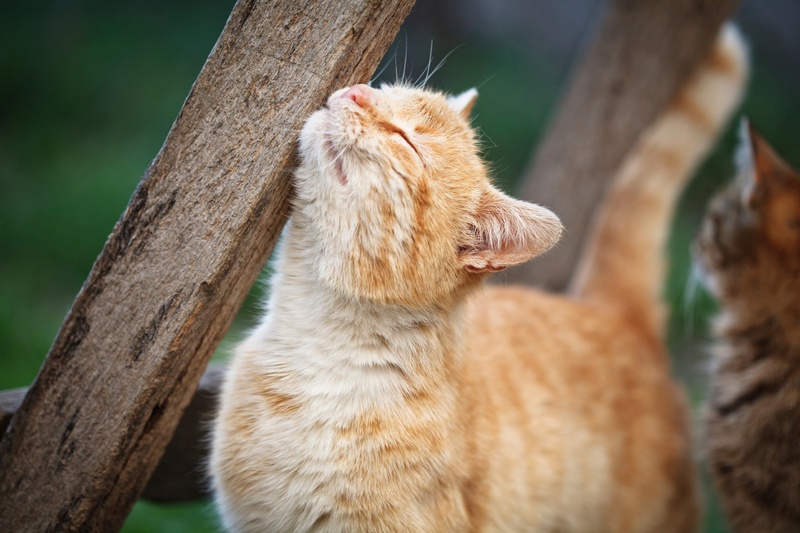 Fleas – Fleas are hearty creatures that thrive in warm weather and simply lie dormant during the colder temperatures. Regardless of the weather outside, many places remain hospitable to fleas all year, and one of those places is inside your warm home. Prevent an infestation before it starts by continuing your pet’s flea medication during winter months. Ticks – While you aren’t likely to spot a tick outdoors in a Minnesota or Maine February, these little buggers are hitchhikers and can turn up most anywhere . It’s easy for a tick to travel home with you or someone you know after vacationing in warmer climates. Because ticks can transmit diseases such as Lyme or Rocky Mountain Spotted Fever to both pets and people, it’s important to keep up on tick prevention all year. Heartworm – Heartworm is transmitted via mosquito bites and is arguably the most serious of the vector-borne illnesses. This devastating disease is potentially fatal, particularly in cats. It is certainly expensive and difficult to treat in dogs. Heartworm is significantly easier and less expensive to prevent than to treat. Because heartworm can take up to 6 months to develop into a full-blown infection, year-round prevention is crucial. Annual heartworm testing should be done at your veterinarian’s office so that your pet can continue to receive prescriptions for preventative medicine. Intestinal Parasites –Intestinal parasites don’t have to worry about the temperature outside; they stay warm and toasty inside the bodies of our pets. Many intestinal parasites are also considered zoonotic, meaning they can be transmitted from pets to people. Heartworm preventative medications typically contain treatments for the most common intestinal parasites, making an even bigger case for year round heartworm prevention. Year-round pet parasite prevention is an important part of responsible pet ownership, and the VitusVet app can help! Simply enter your pet’s parasite medication information into our handy “reminders tool” and receive a reminder alert on your chosen device when Fido or Fluffy is due for the next round of medication. Don’t let parasites catch you, or your pet, by surprise. By maintaining your pet’s preventative medication year-round you are giving him or her the best shot at health and wellness for the long run!